Obviously products have life cycles. Most companies provide products and have to launch frequently new products because simply said; their existing products are reaching the end of their life cycle. The solution then is a product upgrade with a new version number. The car industry is a good example. Peugeot N0M. Always with a 0 (zero) in the middle. Apple releases its iOS 5,6,7 etc. What is really disrupting? How can you do a disruption in a way that your company takes advantage and wipe out the competition? Well, let us look at nature where trees compete for space and water. What does a pine tree do? How does it compete? Pine trees are pyrophyte it means they tolerate fire and use fire to gain terrain. 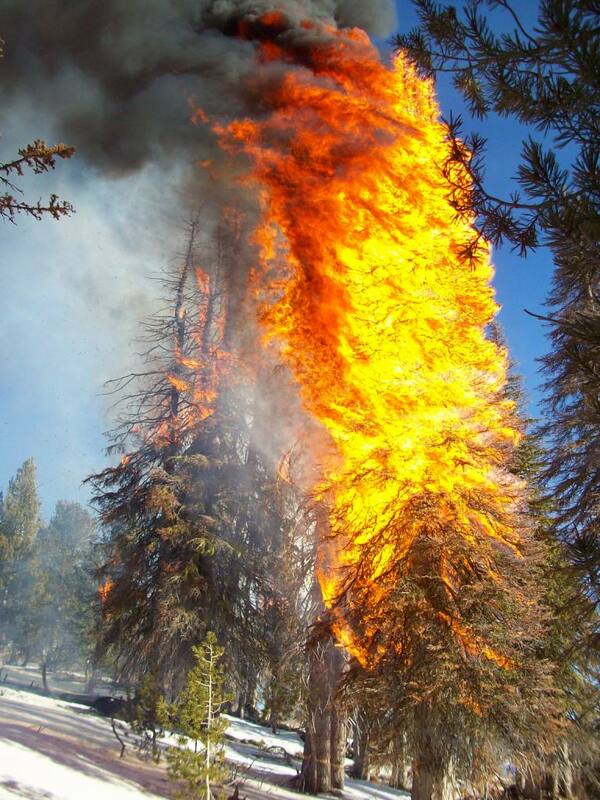 Have you ever noticed what happens in a wild fire of pine trees? Their pine apples fly around burning and their structure is such that they burn really well. The seeds survive the heat. Pine trees love to burn, they are full of resin. Once they burn, they burn all the trees and everything around them. Once the blaze is over we see the surviving seeds developing into new pine trees and many times the pine tree itself that caught fire starts growing again. After ten to twenty years the area is green again but with pine trees, no other trees can be found. Back to business, no do not burn down your company. Insurance companies have smart investigators. Look at your products and at the sector you are in. What can you do that kills an entire sector including your products in it? Make sure you have a new plan ready that seeds new business. Like the pine apples. In the 90s Nokia started to add a camera to its cell phones. It attacked both the competition and the camera sector. The last sector still is suffering (Kodak, Polaroid). Now the entire camera sector is suffering from smart phones. Nokia killed the simple GSM phone market in which it was doing very well. Another example is Coca Cola. The company from Atlanta launched new products in the soda market and eliminated the Classic drink. However here we see that clients requested the classical product to be brought back into the supermarkets. What to consider before you set your own pine tree on fire? •	Have you talked to potential clients? Investigated the market? How will they react when you burn the existing product? •	Do you really have the competences and skills in house to rise as a phoenix? Do you know how to make that new product? •	What is competition doing now? Ask your clients, they know more than you think. Applying the pyrophyte strategy is risky. Like most risky undertakings they can be very rewarding. At least the press will follow your actions.